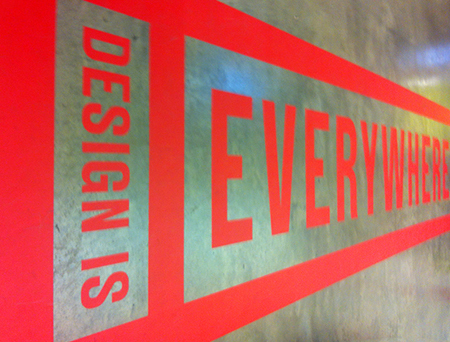 To mark its 11th year, the 2013 London Design Festival explored the idea that ‘Design Is Everywhere’. 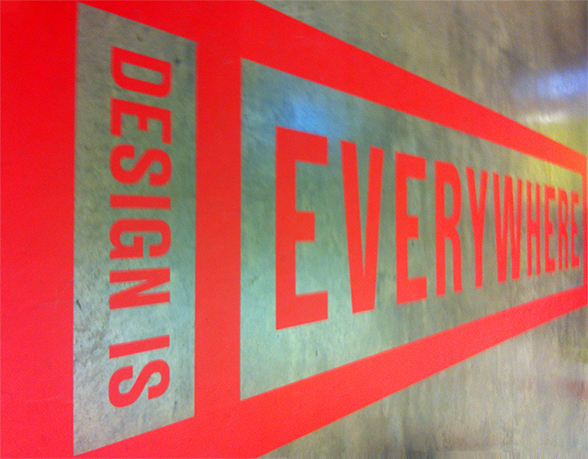 Whether it be in your home, on the street, or in the car, there is no doubt that in today’s society design is all around us. So with this theme in mind, hundreds of designers, artists and creatives descended on the capital for a week of fairs, exhibitions, discussions, projects and installations. If you haven’t visited the festival before, the event list can seem quite daunting, but essentially, there are three major design ‘fairs’ which designers and brands use to showcase their products. 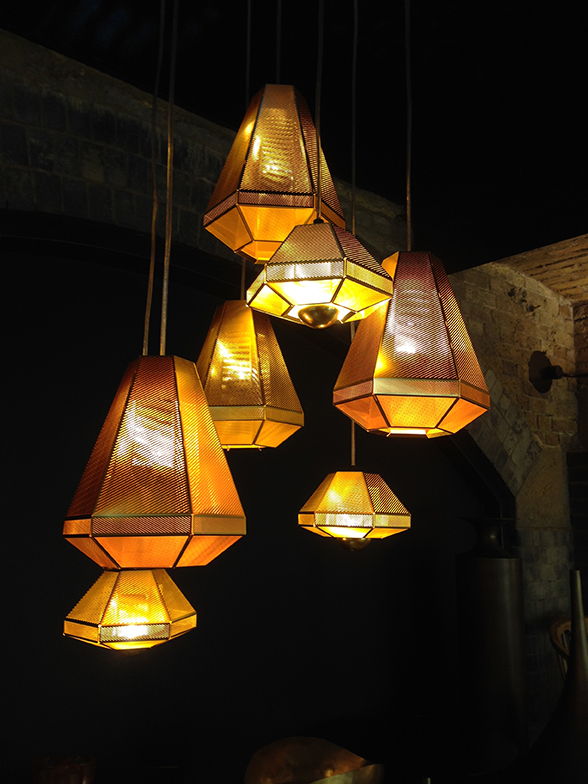 These are Design Junction (by far the largest and most prestigious of the three), 100% Design (the longest running event having been hosted for the last 18 years) and Tent & Superbrands London (generally a platform for younger, emerging artists with more eclectic designs). Working alongside these fairs are hundreds of satellite events running all over the city: London-based showrooms open their doors for tours, art installations pop up in the streets and studios host talks and discussions. We were lucky enough to visit London for two days last week and we want to share all the best bits with you today. Our trip began with a saunter around Design Junction - London’s leading destination for contemporary design – on New Oxford Street. 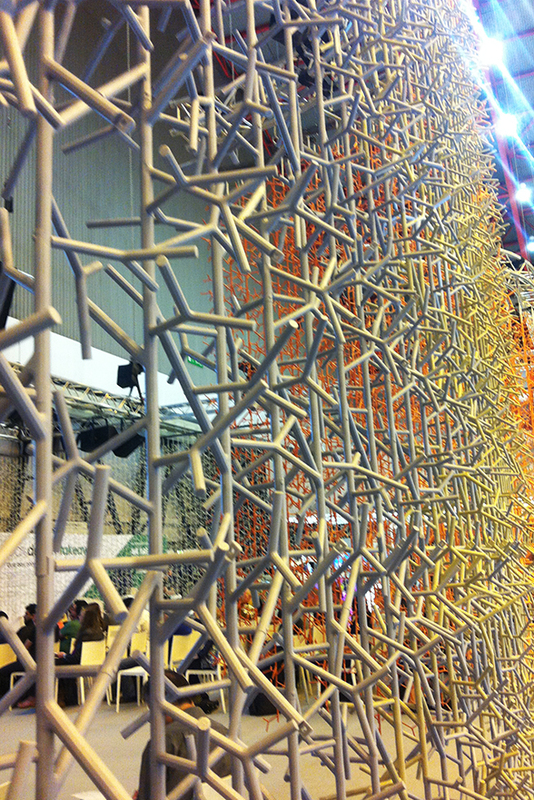 With over 150 brands exhibiting we were quite overwhelmed with the breadth of design on offer. There were some old favourites on show as well as some new releases. The &Tradition stand featured a fantastic array of products, all of which really seemed to lend themselves to the Sorting Office’s industrial location. The Catch Chair and SK1 Chairs, FLY Sofa and Ice pendants looked beautiful in the flesh, plus the new Blown Lights from Samuel Wilkinson we’re a real hit as they sparked and glistened in the camera flashes. The Carl Hansen & Son stand was a delight with its beautiful colour combinations and new star piece – the Dream Chair – which will be coming to Nest very soon. 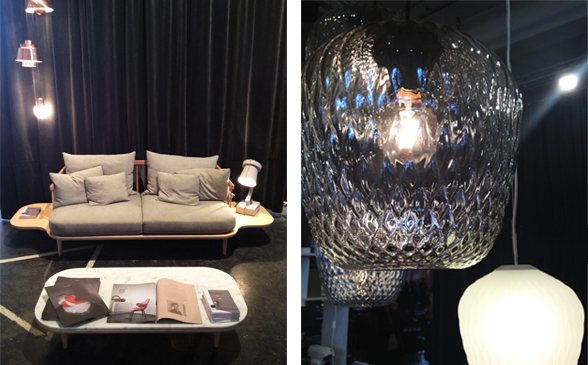 Our new favourite lighting brand, Areti, had a beautiful stand with lots going on. 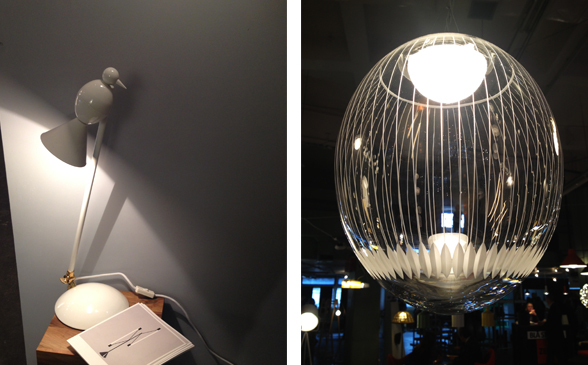 We loved the new Alouette Table Lamp in white and the Kirchschlag pendants stunned us with their elaborate detailing. After a quick coffee (and cake!) stop, we went over to see what 100% Design had to offer. 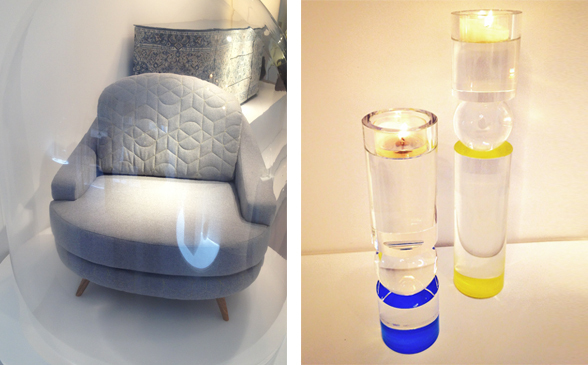 As the longest running event at LDF, we were really looking forward to what the fair had to offer. 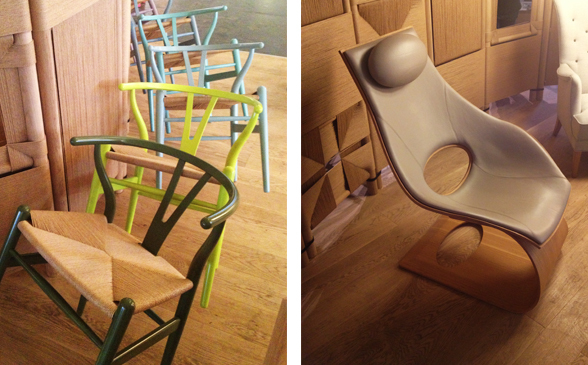 There was some gorgeous displays from many of our brands including Magis (we couldn’t resist a spin on the Spun Chair! 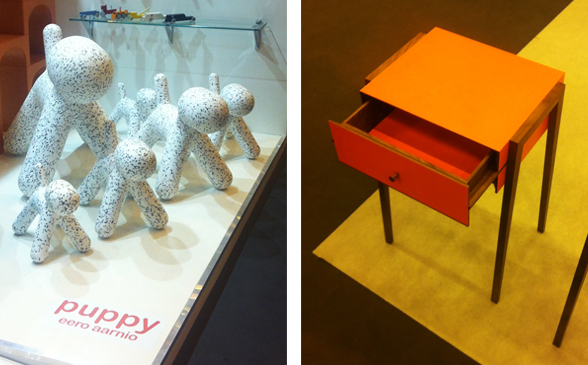 ), Young & Norgate and Zeitraum, as well as some fascinating products from new designers. But the highlight for us was being cocooned inside Benjamin Hubert’s AMASS installation – a structure that enclosed the discussion area. Next up was a stroll to the V&A museum in the west end. Having heard the excitement surrounding this year’s exhibitions, we just couldn’t wait to get inside. 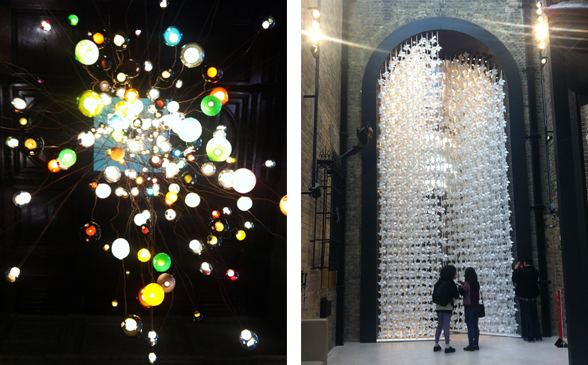 The 30ft Bocci light installation that greets you in the foyer is as dramatic as it is impressive. Also, the Wind Portal installation from Najla El Zein was one of the most simple, yet breathtaking, installations we’ve seen in a long while. In a stark contrast to this tranquillity, the Scholten & Baijings Dinner Party room set was one of decadence and luxury. Set in the Norfolk House Music Rooms in the British Galleries, this show depicted a dinner party recently vacated by its guests – a ‘lived-in’ exhibition which was a breath of fresh air amongst static displays. The shocking contrast between the French-style gilded ceiling and wall panels, against the fluro, graphic and patterns of Scholten & Baijings’ products, half-empty wine glasses and strewn party hats was visually enticing and exceptionally intriguing and we just could not stop staring! 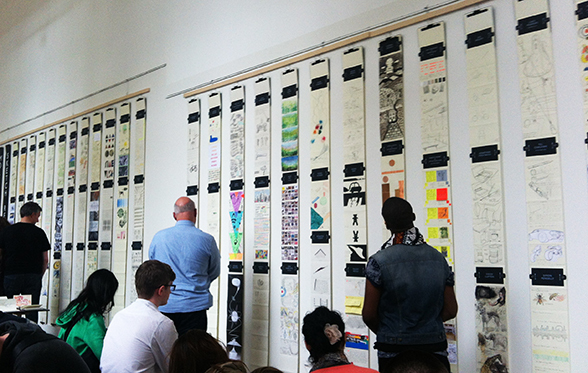 Another event at the V&A that caught our eye was the Moleskine Sketch Relay – a creative display of drawings from London-based designers. We spotted a few famous names in the mix including Lee Broom, Benjamin Hubert, Philip Cuttance and Bethan Gray among many, many others. After a jam-packed afternoon we were excited to attend the Wrong For Hay launch in St. James Park – a brand new collection of items for Hay directed by designer Sebastian Wrong. Set in a glamorous Victorian property on Queen Anne’s Gate, the exhibition showcased all the new items in the collection for the first time. 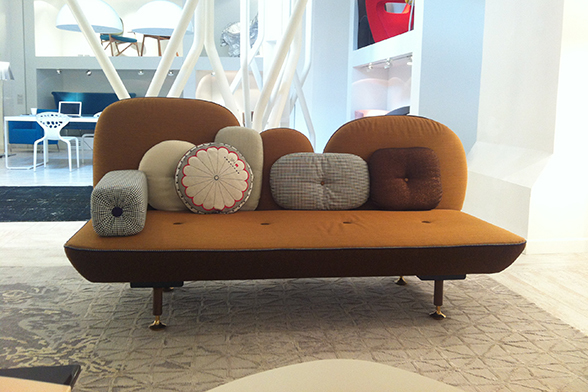 The new items displayed a stark shift in style from what we are used to from the Scandinavian brand. There were more graphic prints and bold colours on show, as well as a few pieces made from more industrial-style materials. 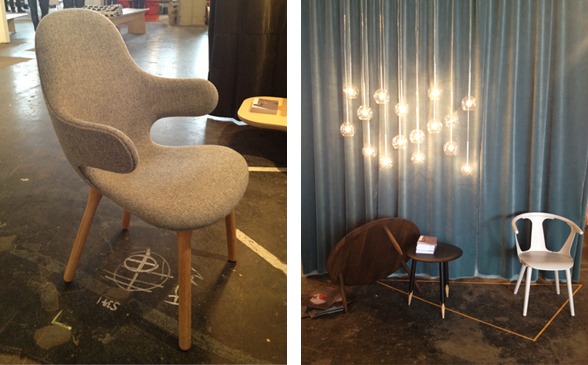 Our favourites from the collection included the Curve Chair, Pion Light and Neu Chair - all pictured below. Whilst two of our team were admiring the Wrong for Hay collection at St. James Park, our other two members took Tom Dixon up on his invite to Portobello Dock. 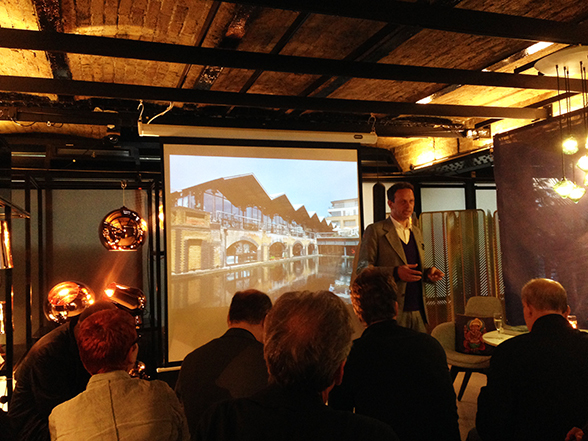 They were greeted by Tom Dixon himself who gave a short speech on the company, and what the future had in store (perfume and clothes no less!). 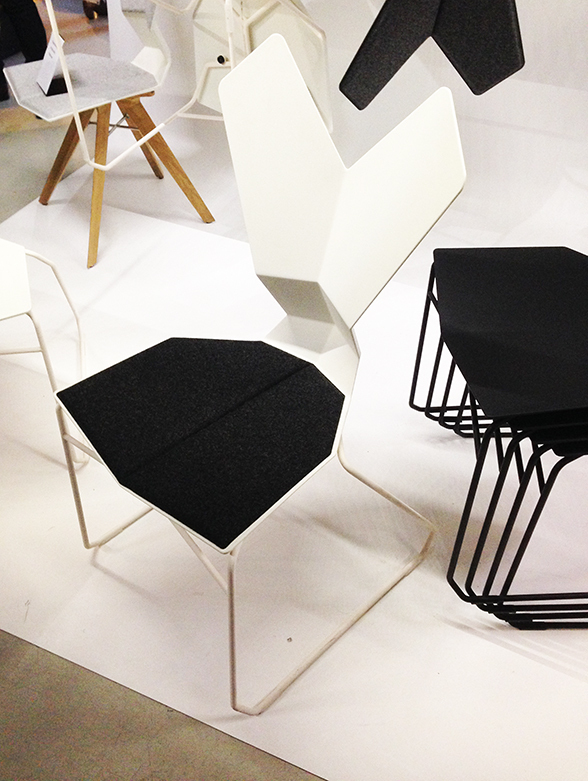 His brand new ‘Y’ Chair was also launched during the event – a super ergonomic, angular, statement piece. The next morning, after checking out from our swish Lamb’s Conduit Street apartment, we made a beeline for the satellite events. First up was Lee Broom’s Electra House – the designer's first dedicated retail space that merges both showroom and studio in the heart of trendy Shoreditch. We met up with Lee and were treated to a tour of his past and current collections – and also got to see the hotly-anticipated new pieces including the Fulcrum candlestick, Carousel chandelier and his new upholstery collection, Quilt. 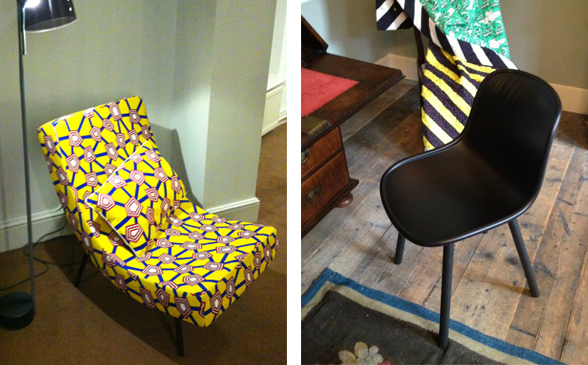 Next up was a visit to SCP on Curtain Road to see their new offerings. Filled with colour, texture, and unexpected patterns, we instantly fell in love with their the new pieces. 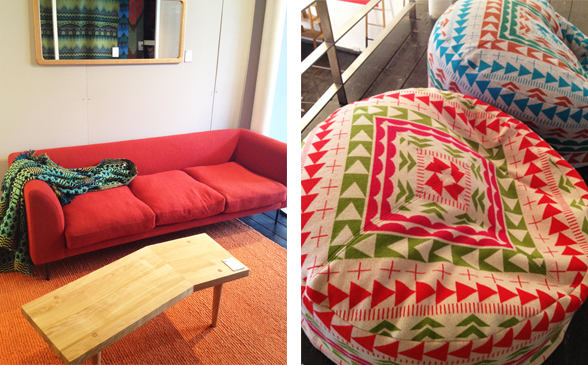 Below is the Agnes Mirror, Wholegrain Coffee Table and Donna Wilson’s textiles in fresh new colours, and her brand new beanbags – how comfy do they look?! 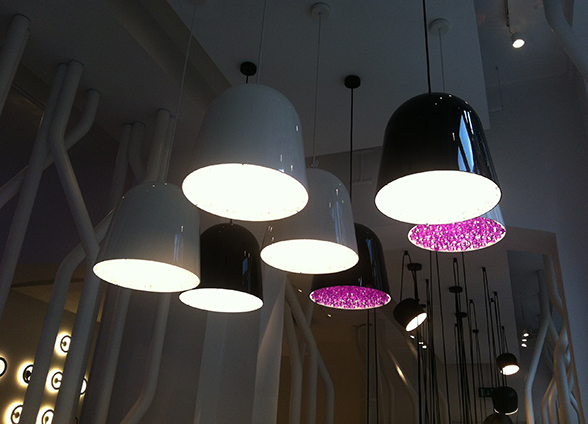 After a short walk we stopped off at Rosebery Avenue to check out the stunning Moroso/Flos showroom, and wow, what a place! The two brands’ collections fitted beautifully together and both had a well-curated selection of items on show. 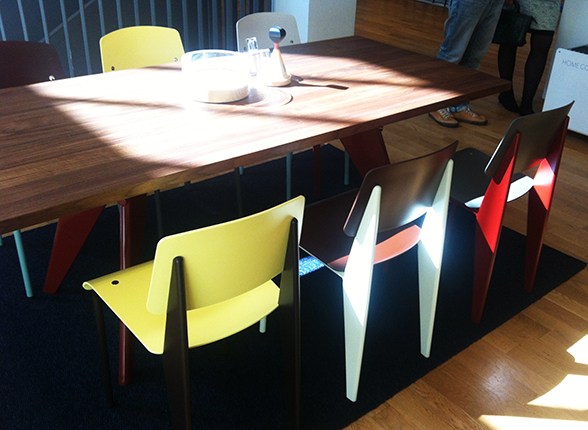 Vitra was next on the list as we were desperate to view their new colours and finishes in the flesh. The orange, khaki and grey Corniches were a revelation and the Standard SP Chairs really suited their new hues. Though there was lots more to see – if you’re in the area we can highly recommend a visit! After a much-needed fish finger sandwich and half a shandy it was nearly time to be on our way. 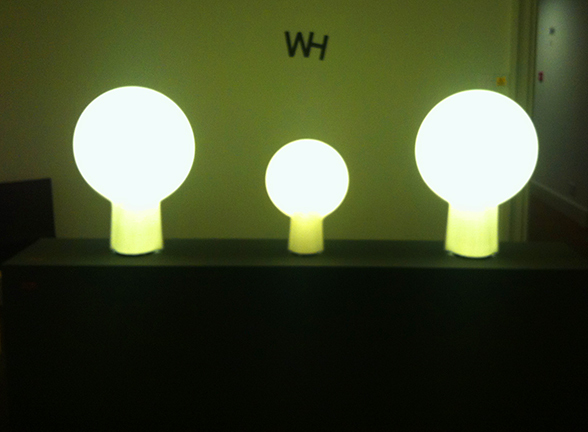 But we couldn’t resist peeking in at the recently refurbished Modus studio on the way though. The 13-year old British brand were looking fantastic with a brand new show space adorned with products upholstered in soft greens and greys. On route to the train station we had a surprise encounter with Gerard McGuickin from Walnut Grey Design, who was as lovely in real life as we’d expected, and we had a good old natter before catching the train back up to Sheffield. Overall, we had a fantastic time at this year’s London Design Festival – the shows had great energy and there were lots of new designers to check out – look out for a few new brands making their way to the Nest site very soon!